The KYMCO MXU 150X is the beginner’s entry into the real sport and fun of ATV riding and racing. The KYMCO MXU 150X is an ATV of utility ability with a heart of fun, in a small package of high value for ‘round-the-farm jobs or fun runs on trails. The smallest in KYMCO’s line of “MXU” utility ATVs, the MXU 150X is ANSI/SVIA Rated Y-12 (For riders 12-years old or over. ), and equipped with an easy-to-operate automatic CVT transmission with F-N-R drive selector. 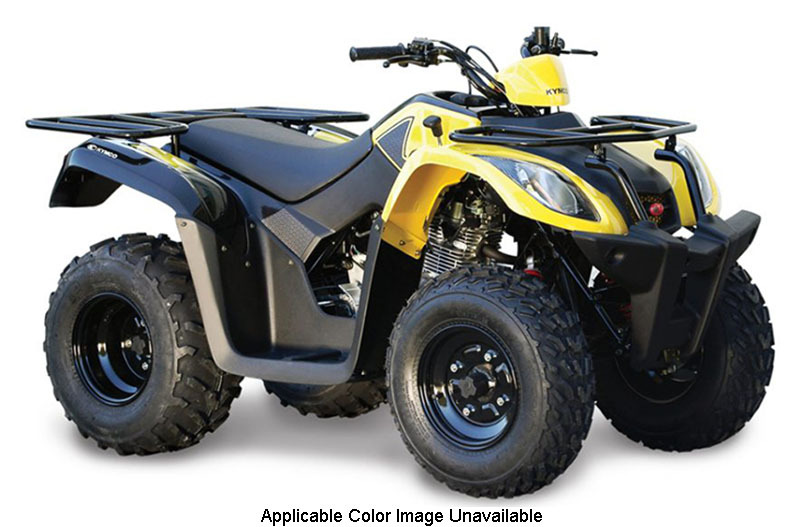 The MXU 150X is the perfect ATV for the beginner rider developing his or her off road riding skills, with its air-cooled, 149cc, carbureted, 4-stroke, engine, chain-drive 2WD utility quad. Features include dual A-arm front suspension, swingarm rear suspension, preload adjustable shocks, and drum front and a single-disc rear brakes. Available in Blue, Tan, Yellow or Green. All ATV riders should take a training course and read their owner’s manual thoroughly. MXU 150X riders younger than 16 years of age must be supervised by an adult.